The Alpina Portable Pedicure Chair provides the ultimate in luxury, comfort, and quality and is available in Camel with Darkwood or Black with Lightwood. The trademarked UltraPlush Cushioning System and DuraSoft Upholstery offers the thickest, softest, most ergonomic padding and cushioning system ever built. 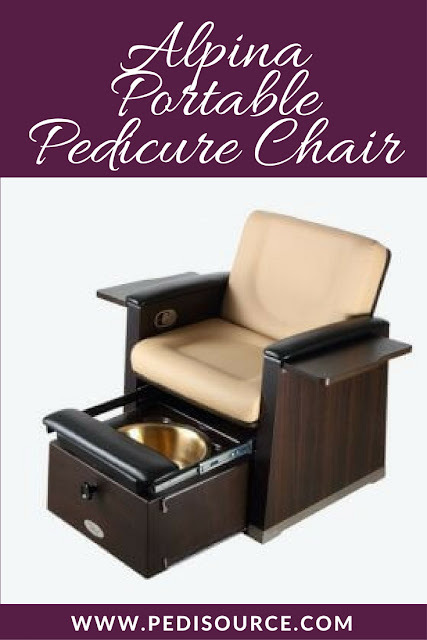 The Alpina Pedicure Chair has a fully adjustable back, arm, and footrests to ensure complete customer comfort. The Alpina Pedicure Chair includes all options and accessories without the added cost, making this Pedicure Chair the most cost effective solution for all your spa and salon needs. 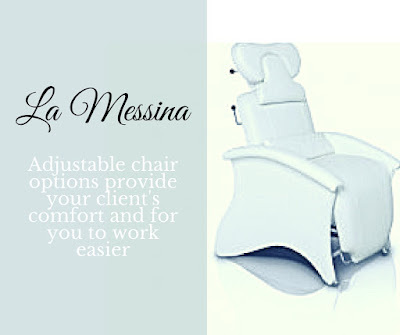 Adjustable chair options provide your client's comfort and for you to work easier.